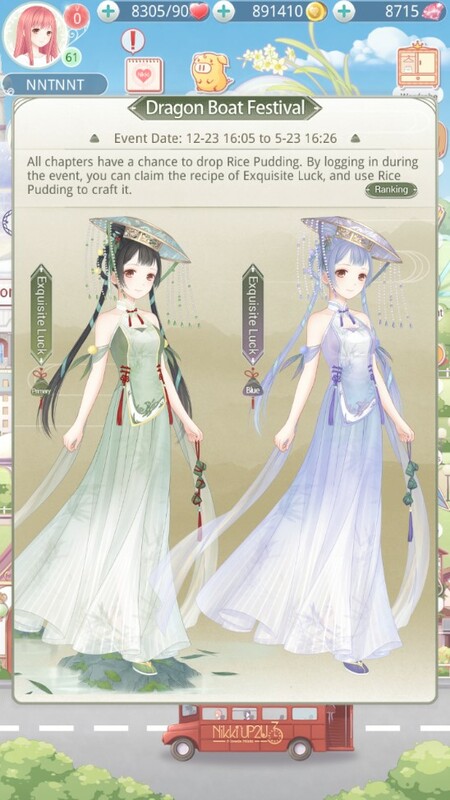 During the Event, you can claim the recipe of Exquisite Luck, and use Rice Pudding to craft it. 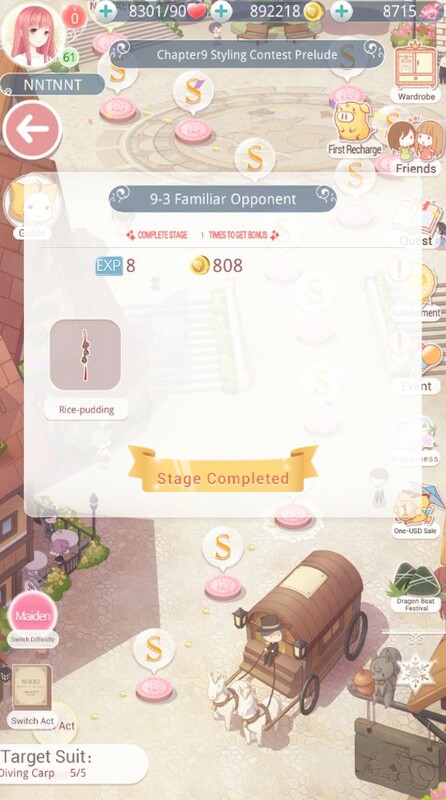 Rice Pudding that you have chance to claim by completing any stages. Step 01: In the main screen, tap “Dragon Boat Festivals” Icon. Then, The popup of event will show all of suits. Step 02: STAR will have a chance to claim Rice Pudding by completing any stage. Step 03: Having enough Rice Pudding to craft each part of Exquisite Luck Suits. The drop rate for "Rice Pudding" at the stages is totally random. The dresses could be dyed to change colors.